Known as "The First Lady of Waikiki," Moana Surfrider, A Westin Resort & Spa has remained a premier destination for an ultimate luxury vacation since it first opened on March 11, 1901. Ideally situated on a prime section of pristine Waikiki beach, the resort offers a true Hawaiian experience with the extravagance of elegant accommodations. Boasting 793 thoughtfully-appointed guestrooms and suites, the relaxing, historic Moana Lani Spa, a variety of refined dining establishments, and elegant meeting spaces, Moana Surfrider, A Westin Resort & Spa is a legendary landmark with contemporary amenities and unparalleled service and hospitality. 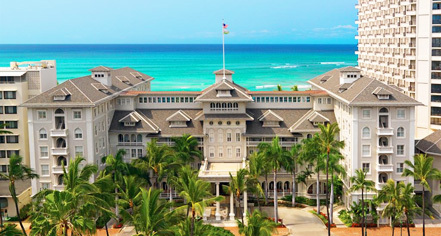 Moana Surfrider, A Westin Resort & Spa, a charter member of Historic Hotels of America since 1989, dates back to 1901. Airport Transportation: The Starwood Airport Shuttle will cost $16 per person, one way or $30 round trip to and from Waikiki. Deposit: Credit card guarantee due 10 days from date of booking. Early Check-In/Late Check-Out: Early check-ins and late check-outs are available at an additional charge, based on availability at time of request. Extra Person Fees: One older child or adult is charged $115 per person per night in an extra bed. Hotel/Resort Fees & Taxes: This daily Resort Charge of $31.41 will be posted to each guestroom to offer an array of amenities and services. All reservations are subject to a state tax of 4.71% and a room occupancy tax of 9.25%. Parking: Self-parking: Available across the street at sister hotel; complimentary up to one vehicle per room. Valet parking: Available; $15 per day. Rollaways: May not be available; please contact hotel prior to arrival. 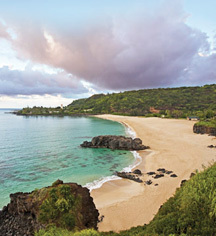 Learn more about the History of Moana Surfrider, A Westin Resort & Spa .